I am a dreamer, a visionary, an artist, and a perfectionist. I love to make every session something special. I don't just show up and take pictures, I pour my heart into creating images that you will cherish for a lifetime. Each one of your images are hand edited and transformed into a piece of beautiful art. 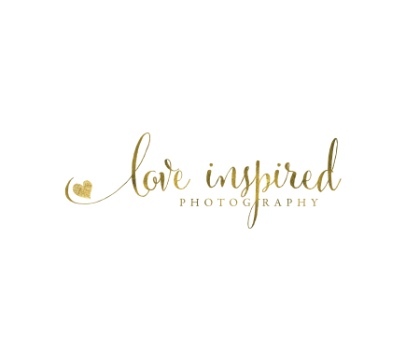 Love Inspired Photography is a custom full service photographer. When you book your session with me, We will discuss your vision for your session, by a phone consultation, or a in-person consultation. Your session will be 60-90 minutes at one of my favorite locations, With the exception of your Newborn session which is 2-3hours. ALL SESSION HAVE MULTIPLE OPTIONS! PLEASE LET ME KNOW IF YOU HAVE ANY QUESTIONS! The best time to schedule your newborn session is while you are still pregnant or during your maternity session with me! I will add your expected due date to my calender. When he/she arrives just give me a call as soon as possible and we will set your session date. I prefer to photograph newborns within the first 2 weeks of life. Why so early? Newborns are their sleepiest during their first few days out of the womb. They like to cuddle and curl up just like the womb positions they are used to. I have many props, but feel free to bring something that you have bought for the occasion or that is sentimental to you as well. If you would like a photo of your newborn with a sibling, please have someone else bring your older children towards the end of your session, I like the newborn session to be very quiet with no distractions or loud noises. The session can last up to 3 hours, with a few feedings in between prop changes. Newborn sessions are photographed at my home in Yuba City, but can be at your home as well if there are special circumstances. I work with Natural lighting, a warm room, and a sound machine. Please email me or call me with any questions. I recommend scheduling your session in the beginning of your second trimester. I prefer booking it around 30-36 weeks pregnant. I have an assortment of maternity gowns that can be used during your session. I encourage you to bring an outfit or two to change into, a sonogram picture, a favorite book, a pair of shoes, a onesie, a craving food, etc. If you have any questions or would like something specific please contact me before our session so we can discuss it! Family members are welcome to come to the session and be in some of the pictures if you would like. Family/Couple sessions are taken at one of my beautiful outdoor locations. During either your phone or in person consultation, We will discuss clothing options, I'd love to help your family look their very best on the day of your session. If the session is for a large group, please let me know how many people, so I can give you an adjusted price quote. These session are designed specifically with your child interest in mind. If your child is interested and having fun, the more natural the images turn out. For Example: Princess Portraits are really popular, I mean what little girl doesn't love to dress up in a magical gown, while letting her imagination run wild. I have a wonderful vendor that creates the most gorgeous gowns that can be used during your session. If this is something you're interest in, please feel free to to ask about more information.